Printed on Avery 1105 EZRS and laminated with Avery DOL1060Z gloss overlaminate. CAUTION: Carbon Fiber patterns have a directional characteristic in their appearance. For the best overall appearance, do not alternate between lengthwise and widthwise graphic panels. 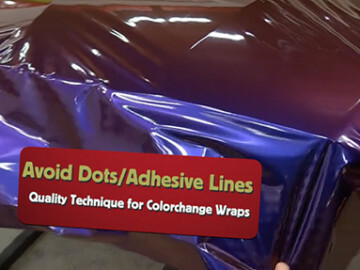 The Avery Dennison warranty is for product value only and provides no protection or reimbursement for additional costs including labor or vehicle/paint damage. Please refer to the Information Sheets below.